Speaking of London, my boyfriend and I got invited to this new Hawaiian restaurant. Aloha. But seriously it was the first time I tried this type of cuisine and I was pleasantly surprised. Delicious doesn’t even start to describe it. 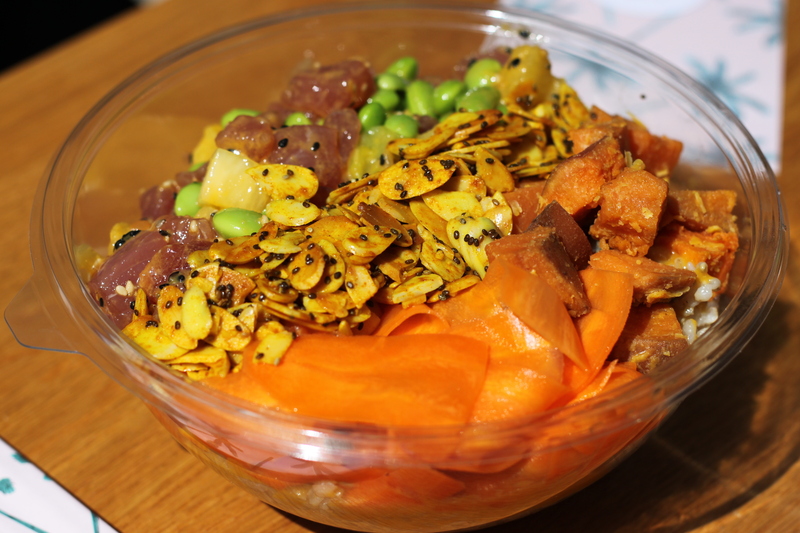 If you are ever in London you should definitely make sure to check out Ahi Poké, especially if you are the type of person, who enjoys non-traditional food. But what should you expect? Once you go to one of the two locations (the one we went to was across of Victoria Station, but there is another one in Fitzrovia) you walk into this “tropical-like” venue. The main dish is a salad-like bowl (small or large). 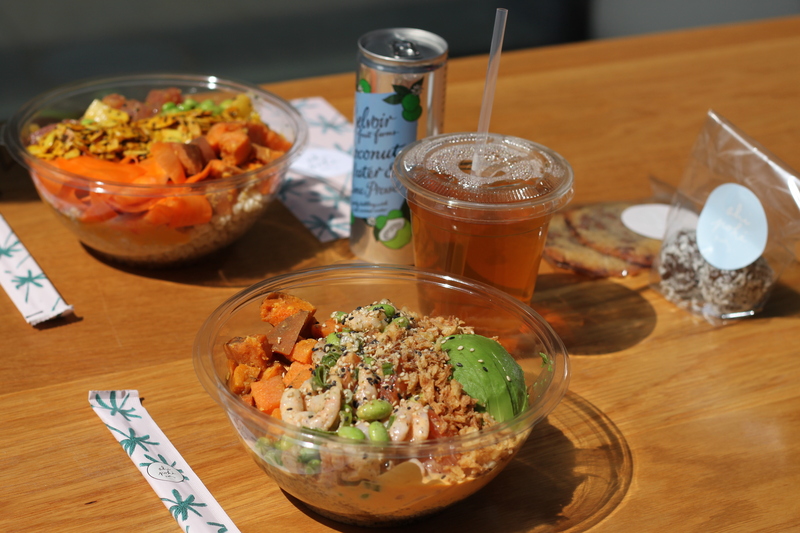 First you choose a toping (brown rice, quinoa etc.). 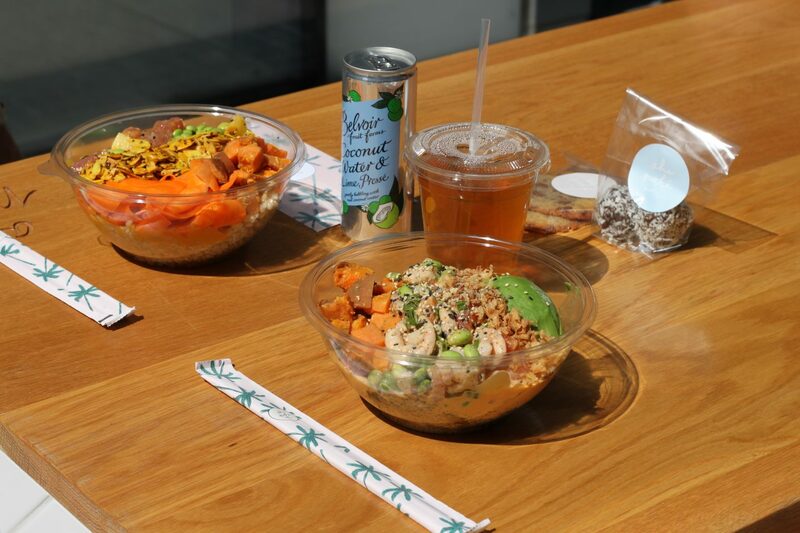 If you go for the large bowl I would recommend getting it with quinoa as a basis, because otherwise you might feel overwhelmed. Yet, you also have the option to mix the basis if you are rather indecisive. Then you have to choose what type of fish you want in your bowl, I chose salmon (my favorite) and shrimps. I definitely recommend this combo. Finally, when it comes to toppings Ahi Poké has outdone themselves as they offer a wide variety of choices. 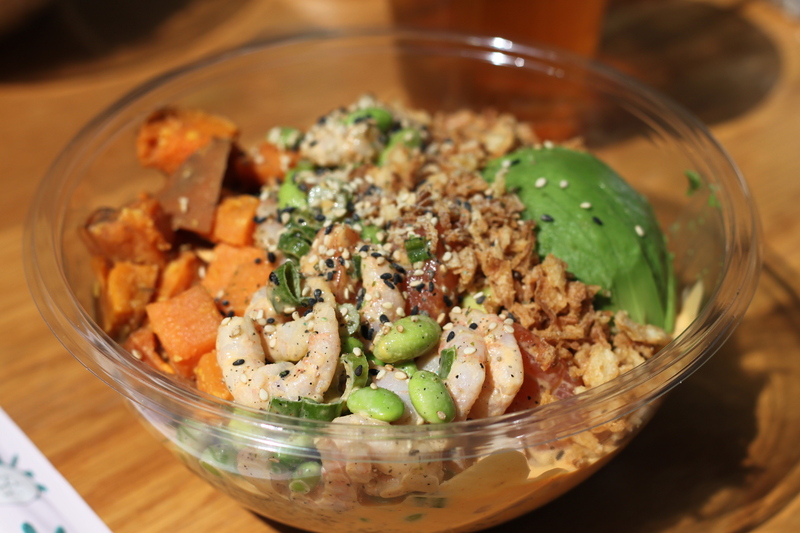 I chose edamame, sweet potatoes, fried onions (yum), seeds and avocado as an extra. The sauce I went for was the Sriracha Mayo (kind of spicy, but that’s how I like it). If you are wondering what drink to get I would recommend the signature lemonade. Finally, if you have a sweet tooth and are craving something sweet, they have a wide range of delicious desserts. And if this has not convinced you, then I should tell you that these bowls are definitely Instagram-worthy. Just look at the pictures I took there!